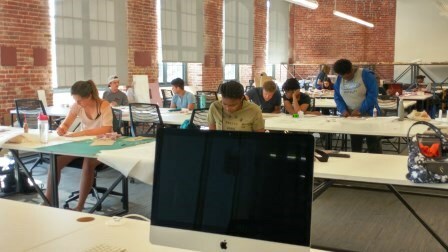 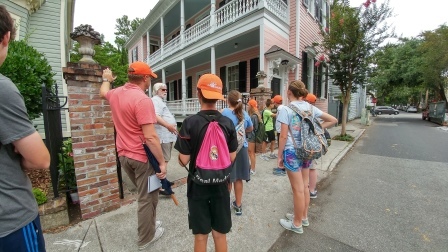 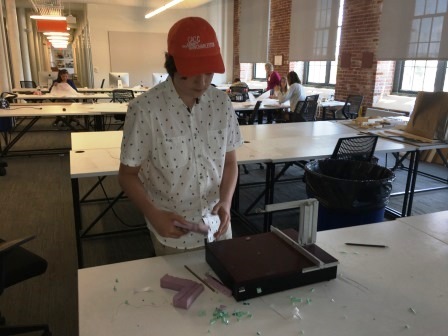 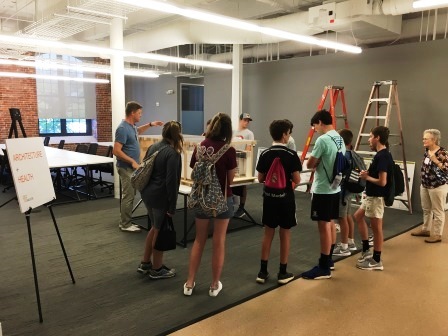 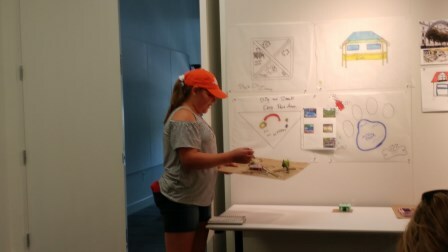 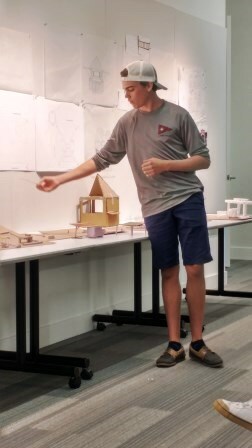 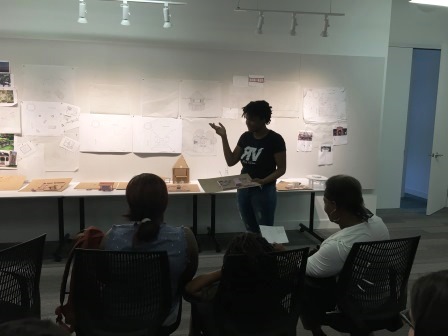 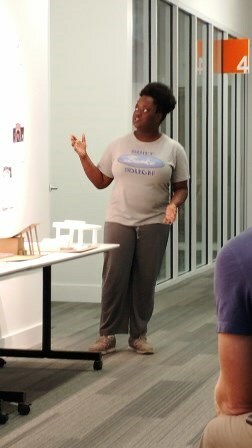 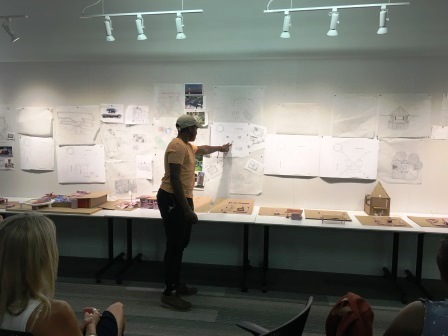 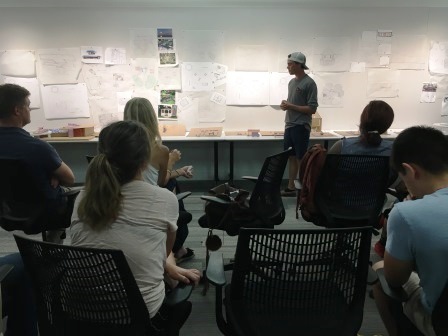 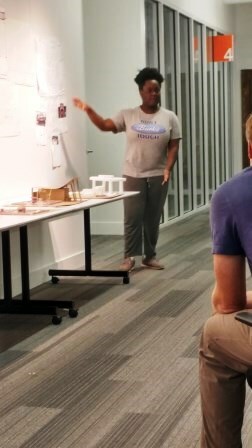 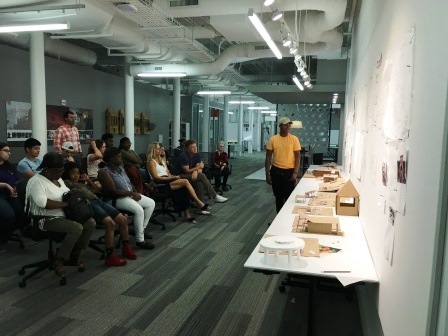 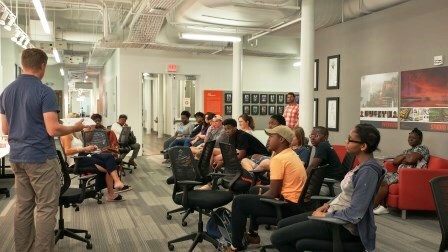 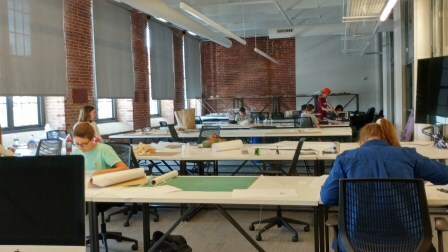 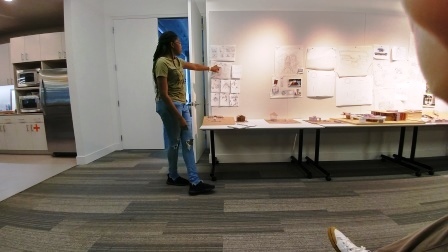 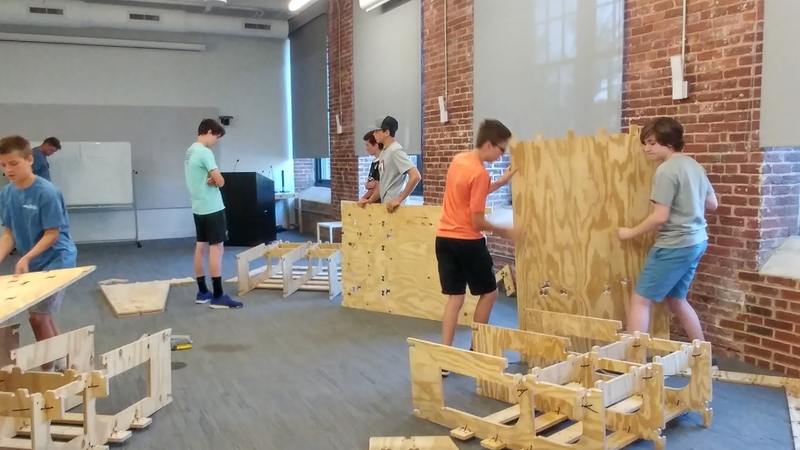 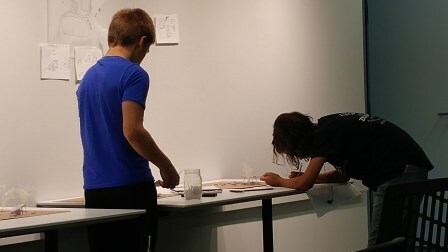 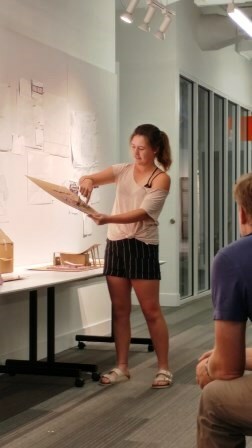 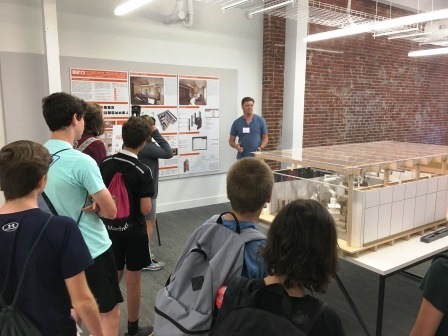 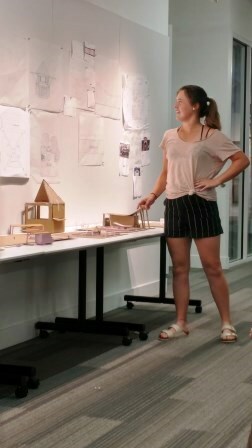 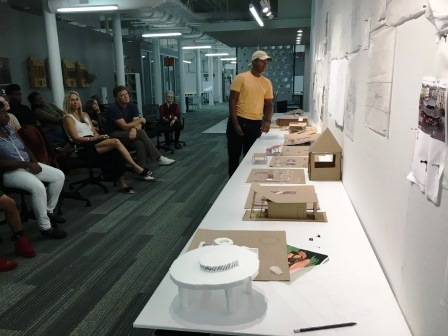 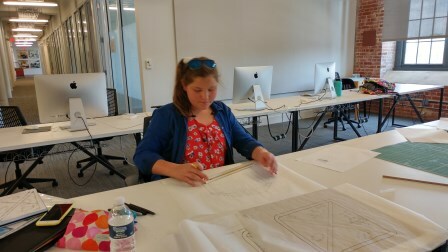 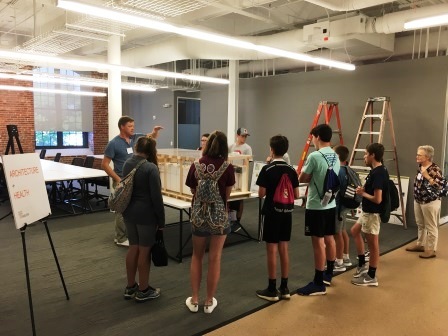 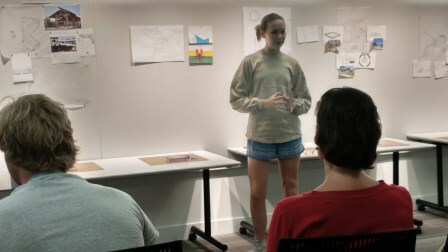 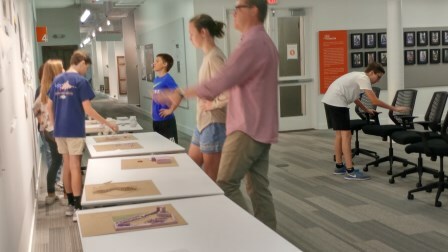 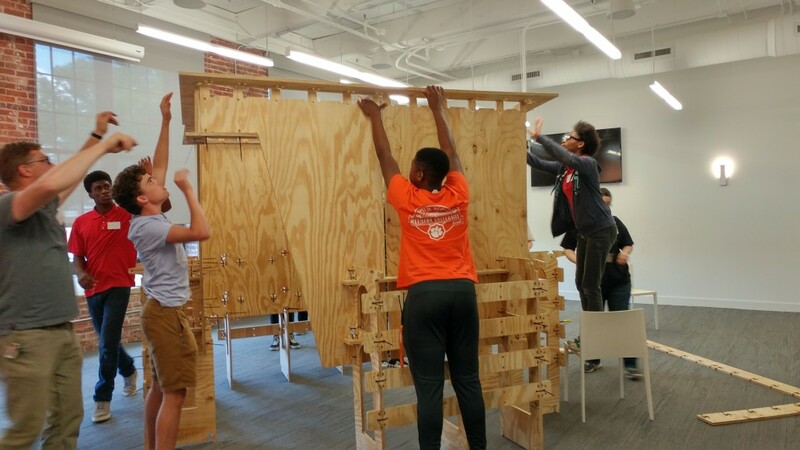 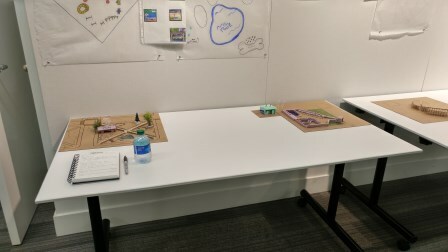 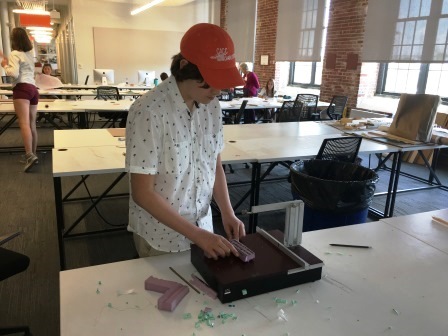 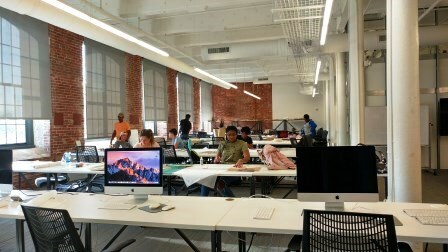 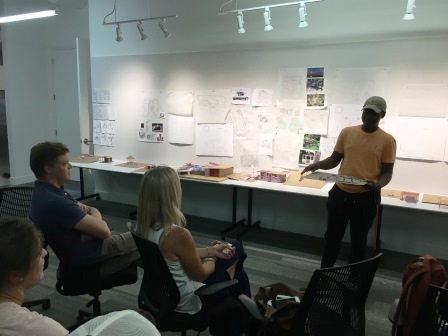 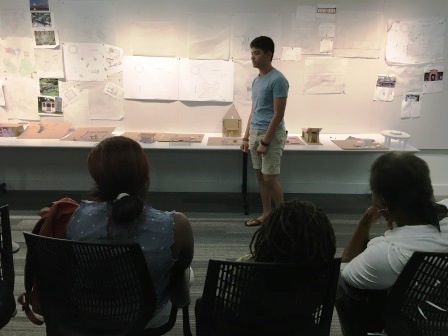 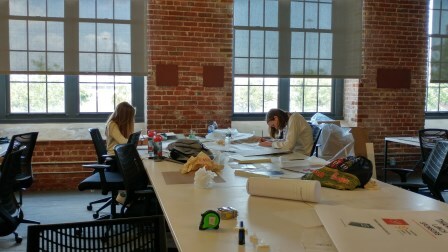 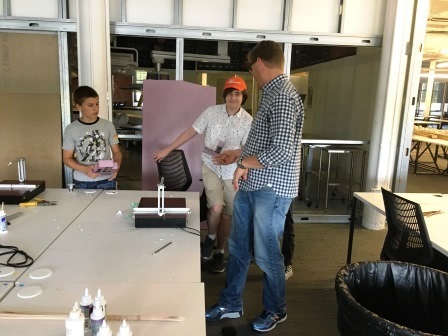 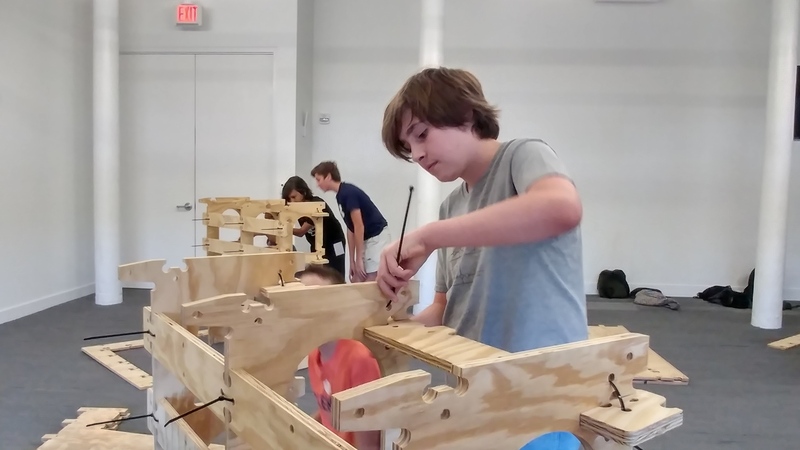 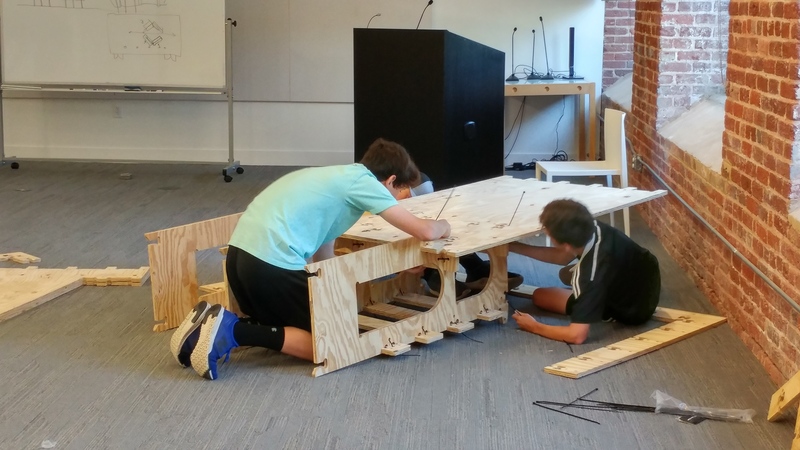 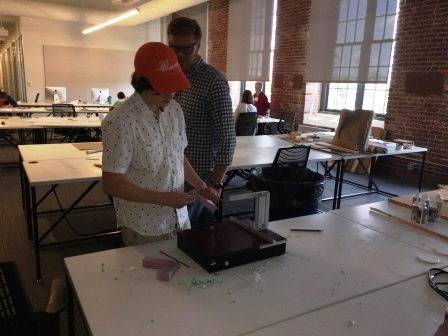 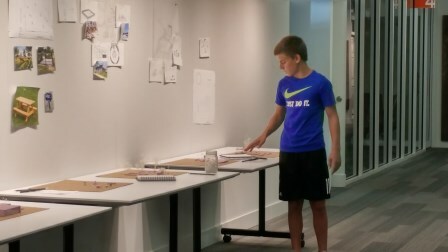 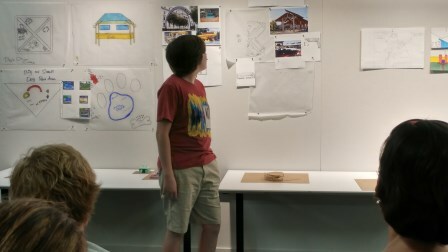 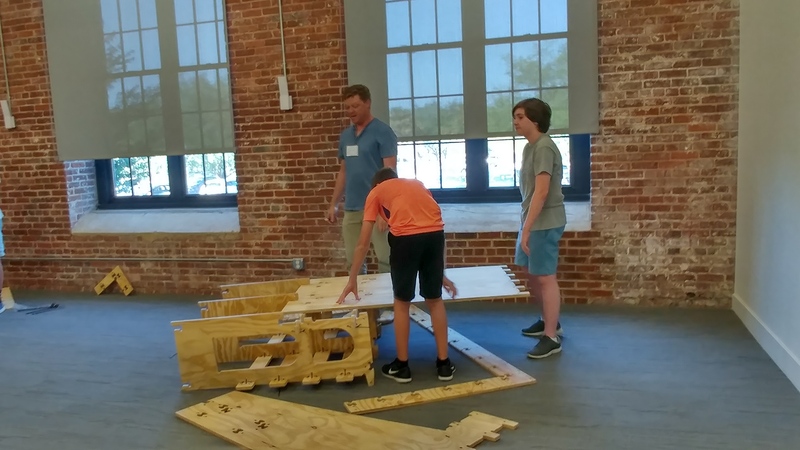 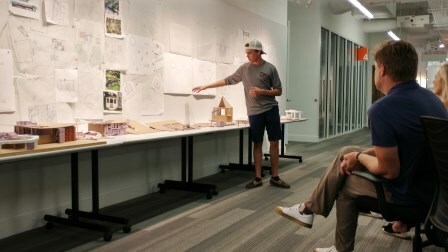 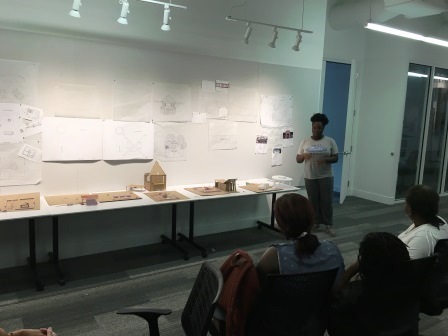 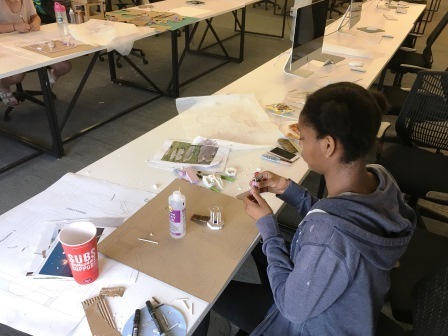 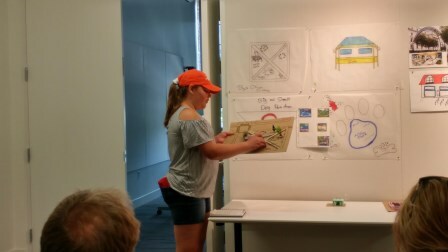 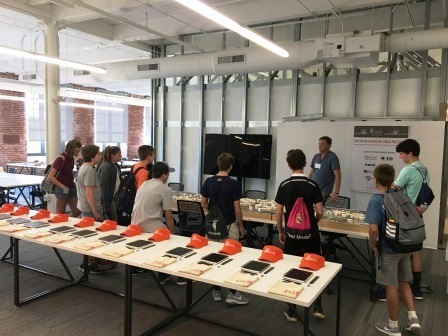 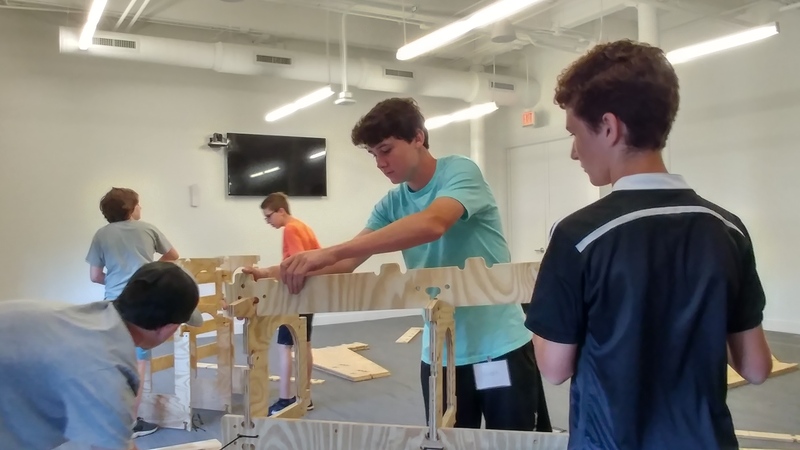 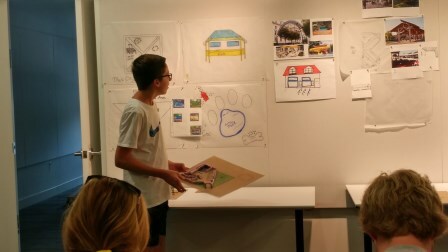 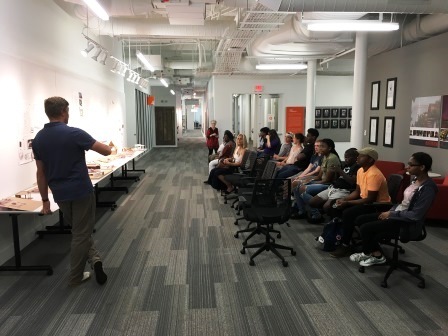 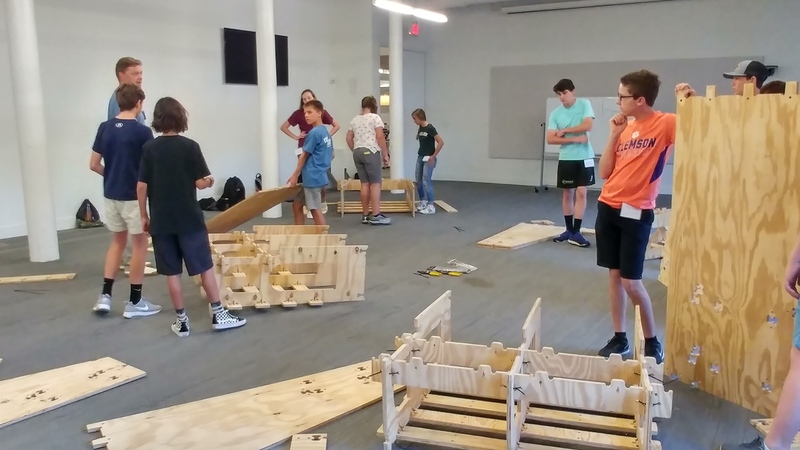 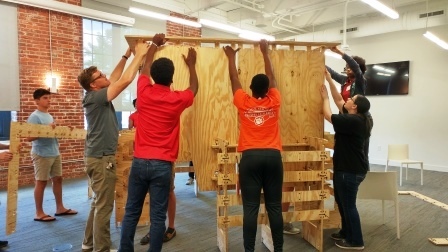 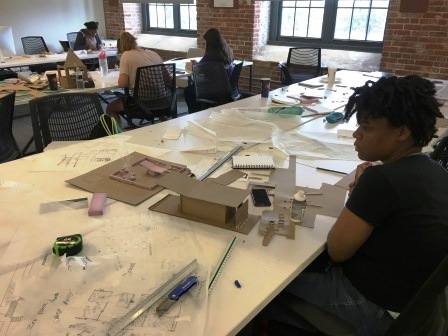 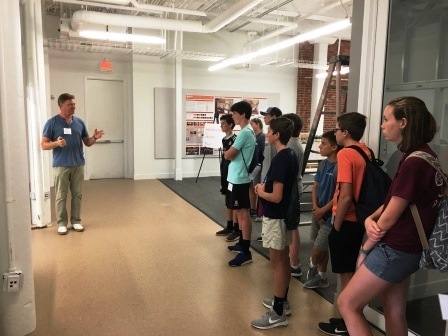 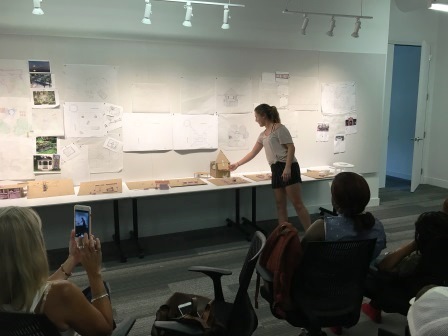 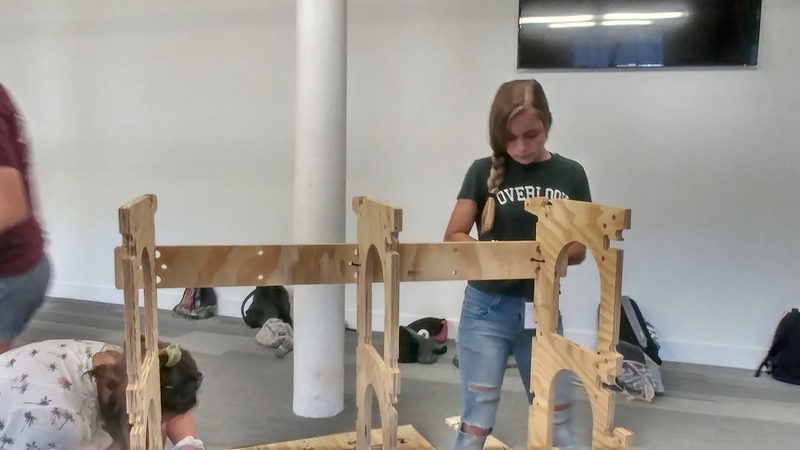 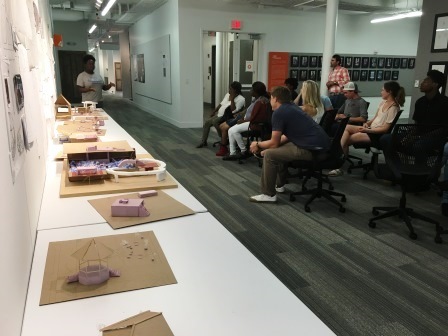 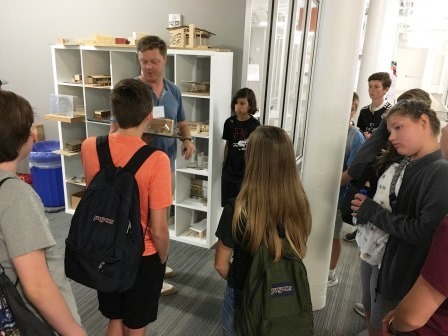 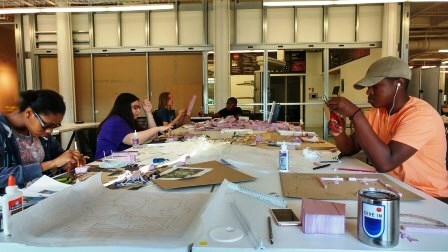 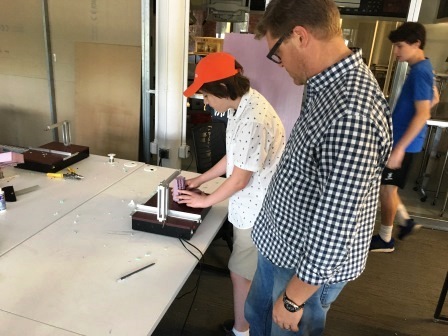 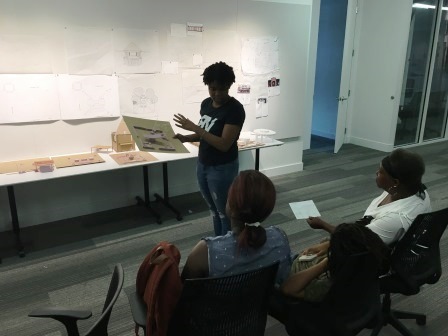 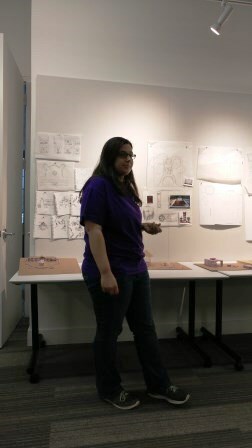 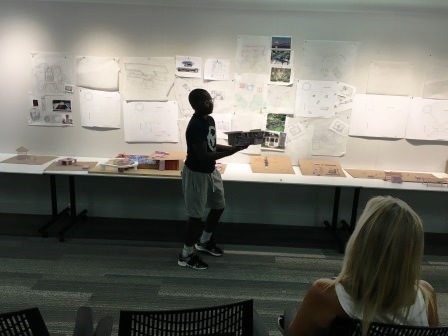 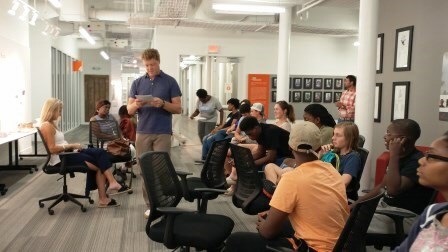 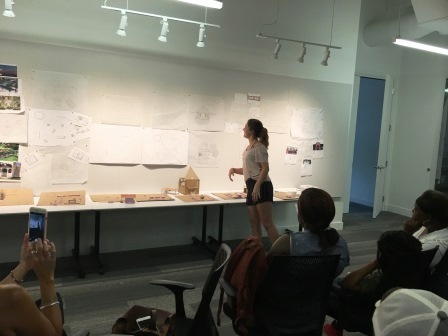 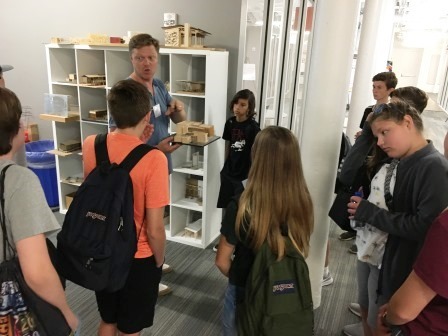 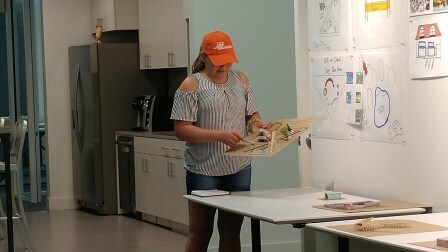 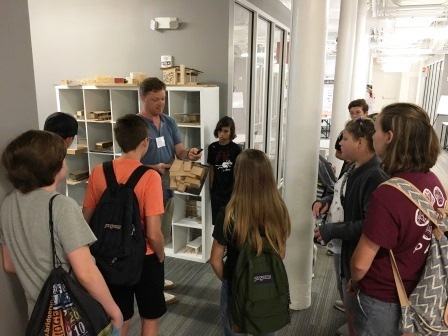 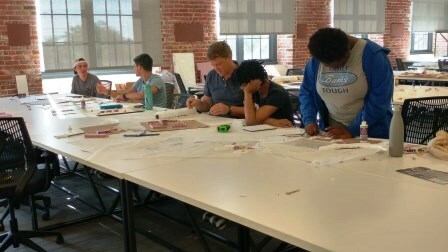 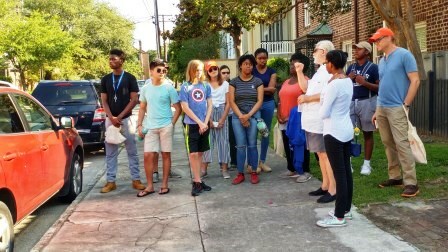 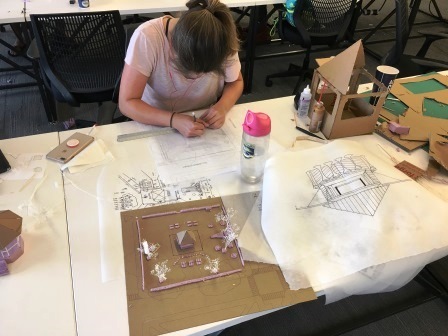 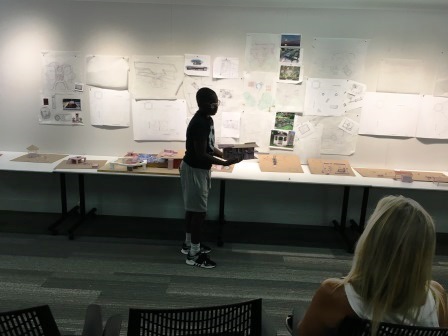 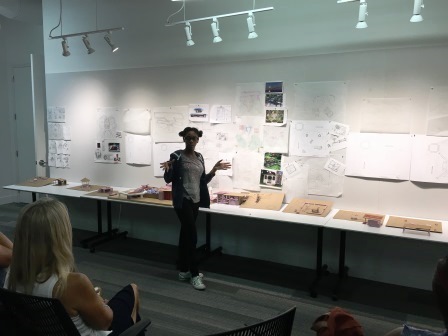 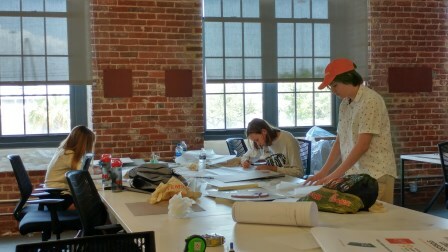 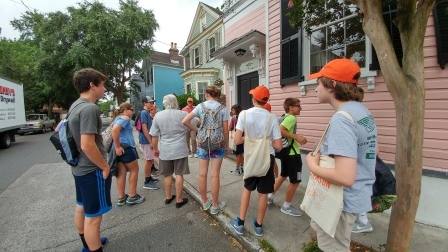 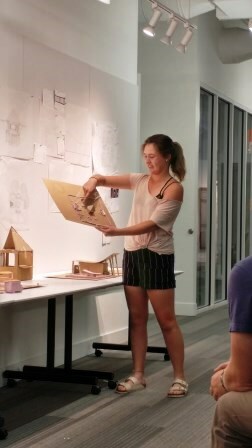 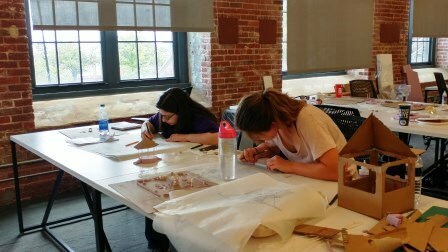 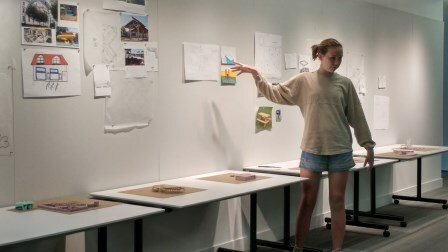 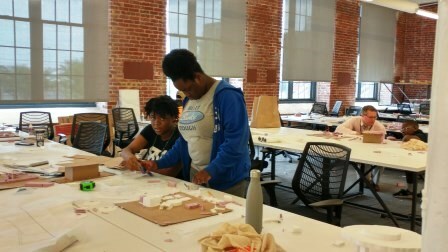 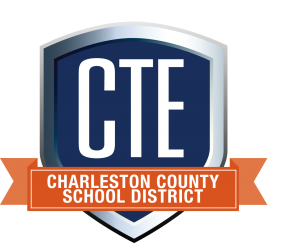 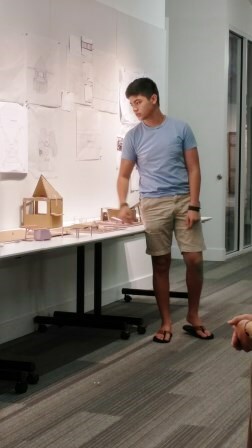 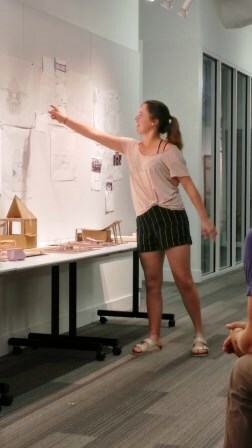 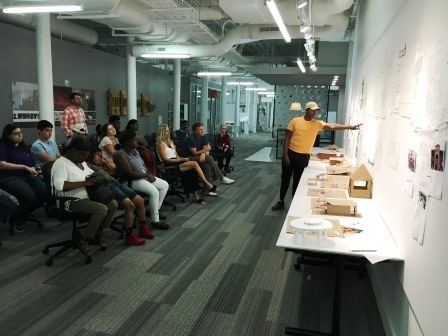 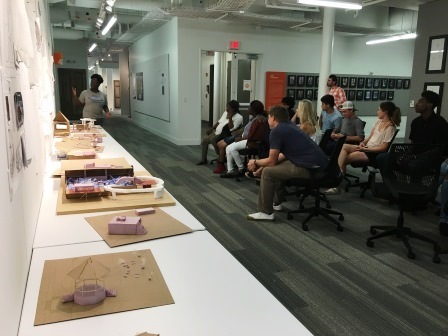 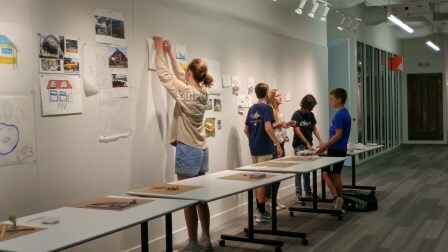 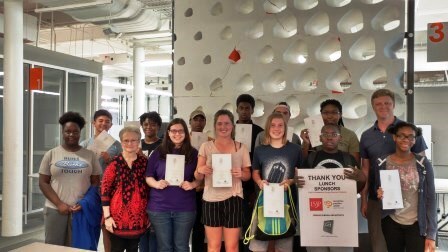 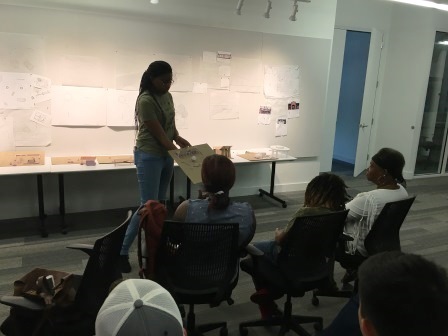 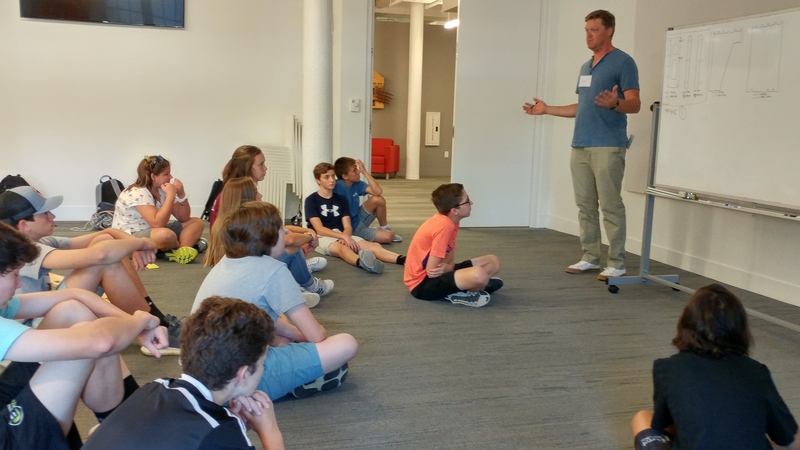 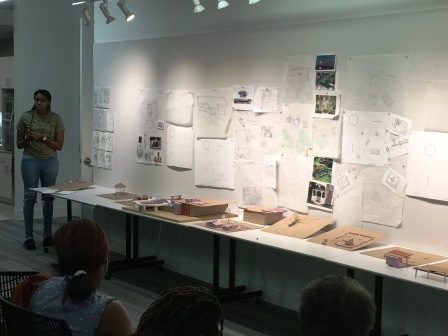 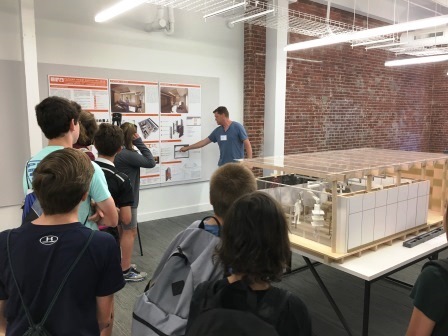 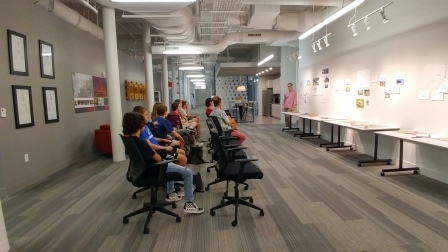 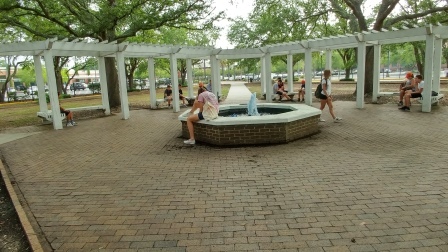 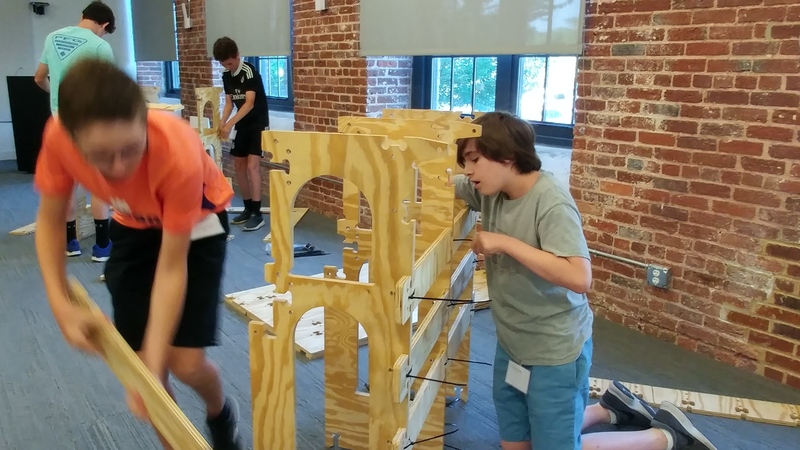 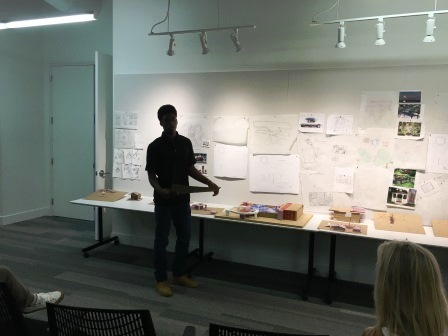 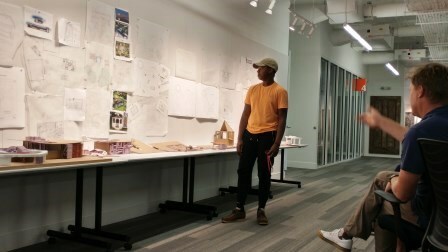 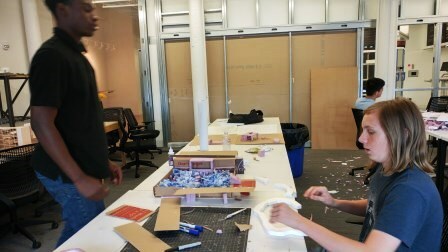 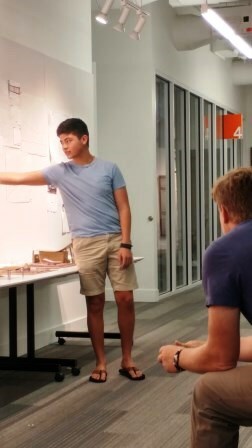 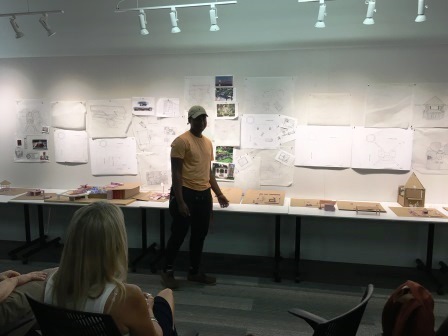 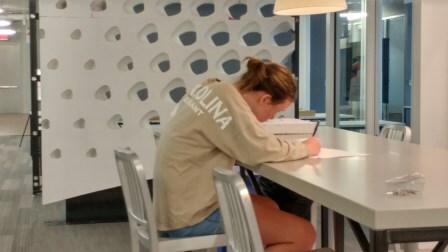 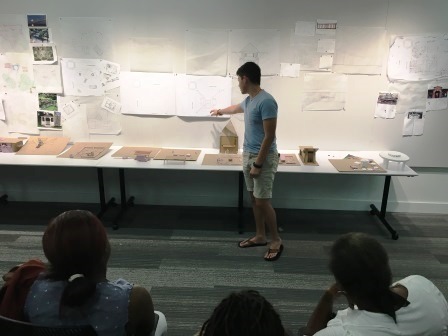 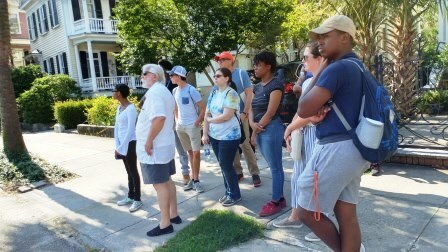 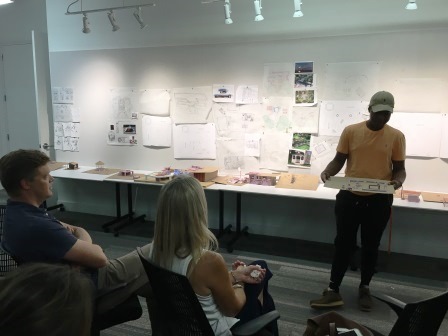 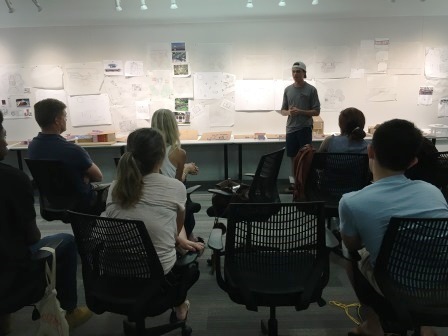 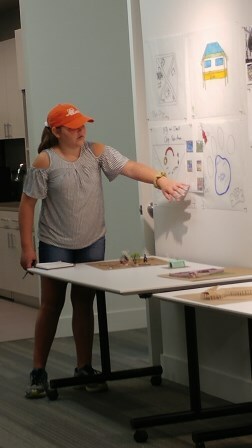 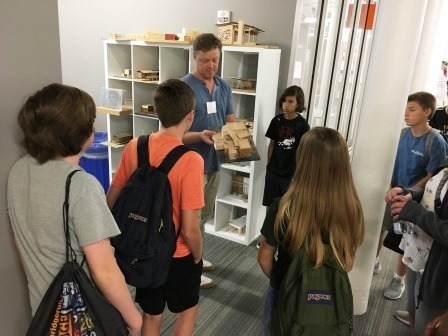 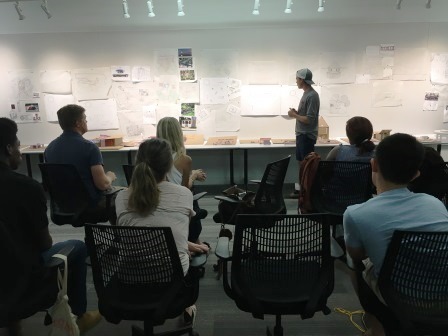 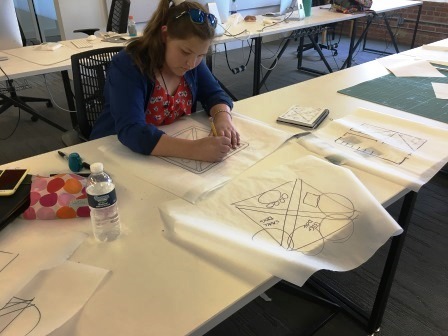 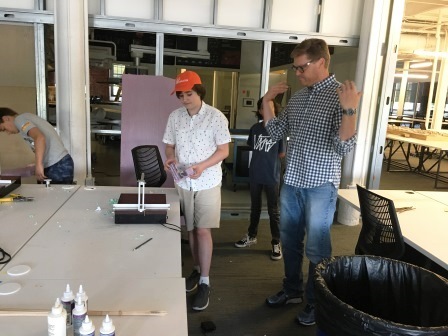 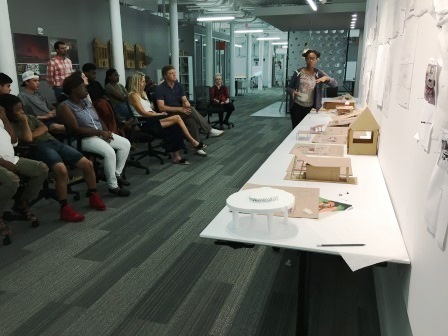 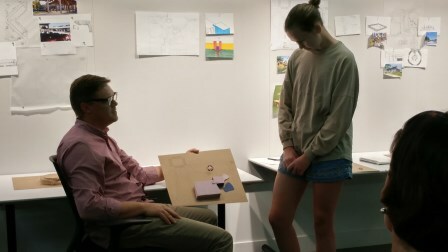 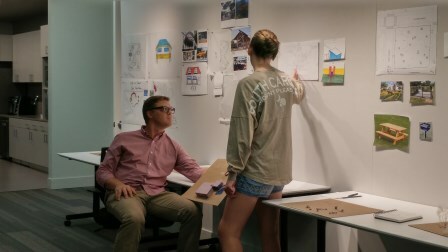 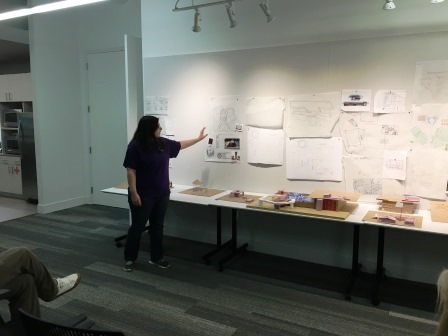 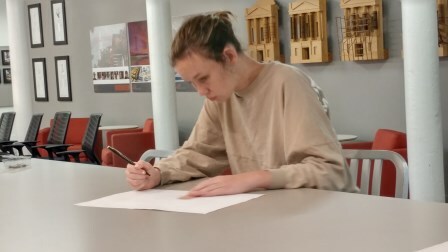 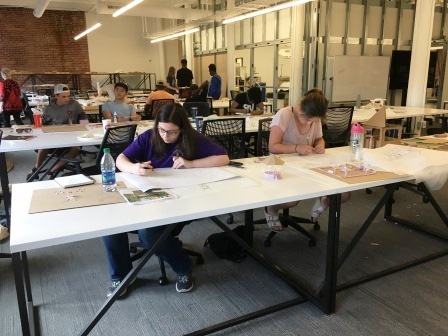 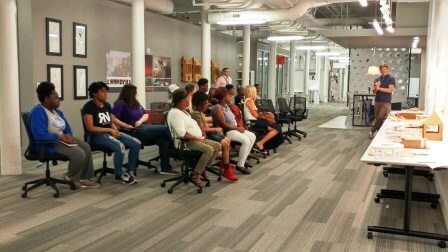 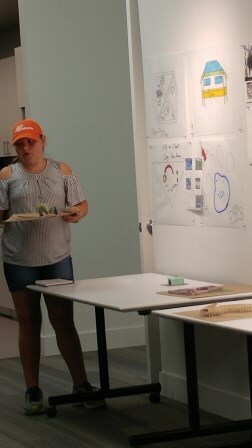 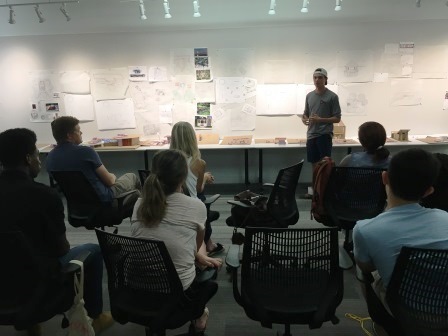 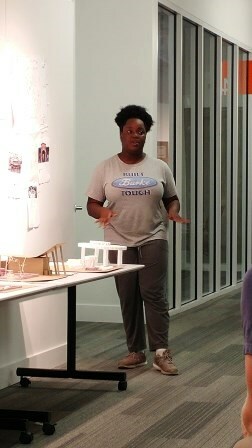 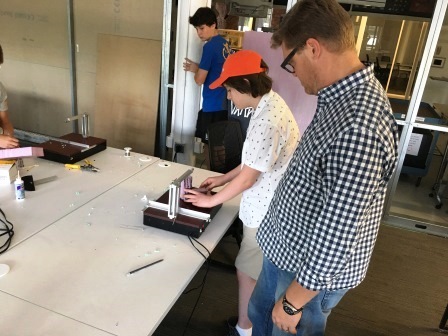 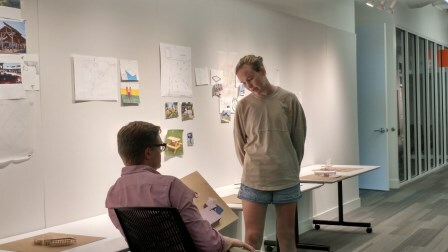 Clemson Architecture Center in Charleston (CAC.C) hosted two very special week long career camps this summer for students considering a career in architecture. 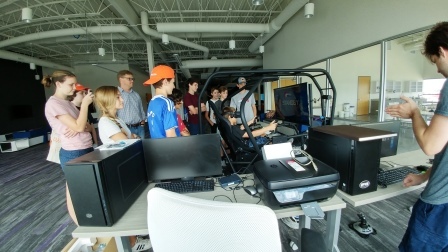 These two camps allowed twice the number of students to attend this summer after a very successful pilot camp last summer. 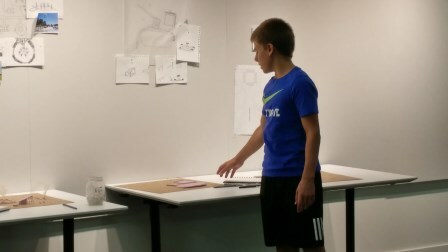 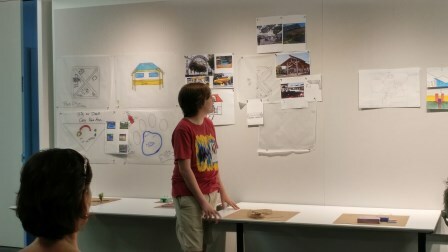 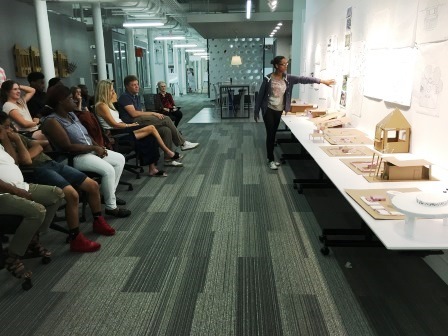 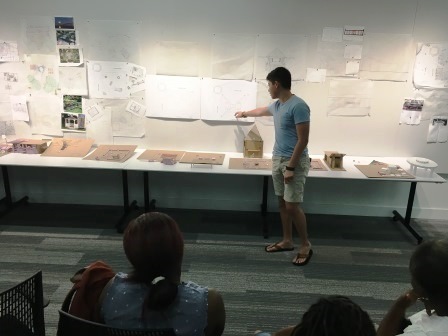 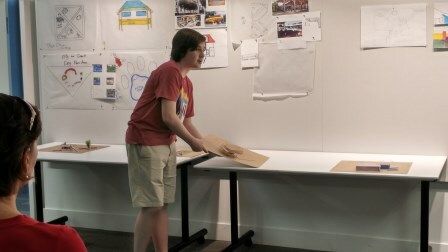 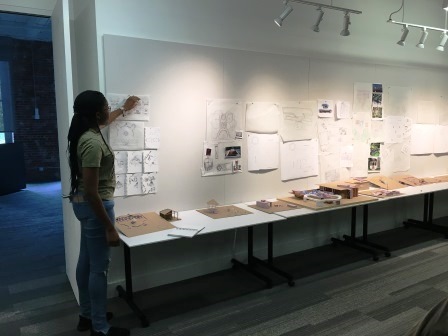 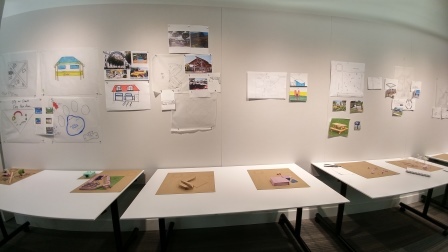 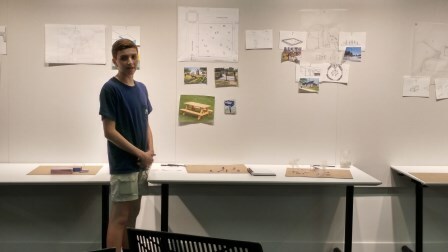 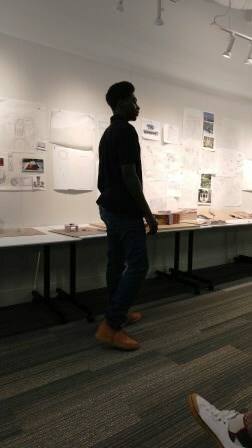 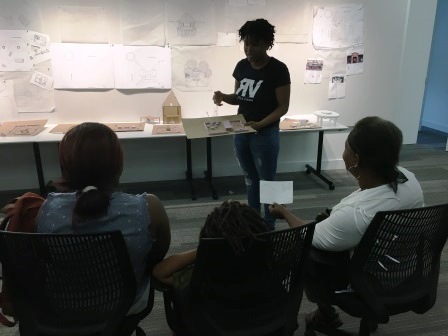 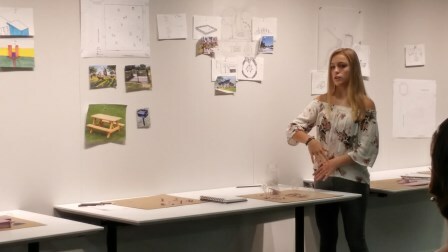 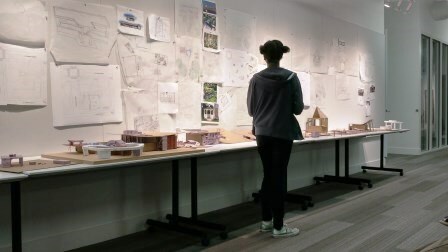 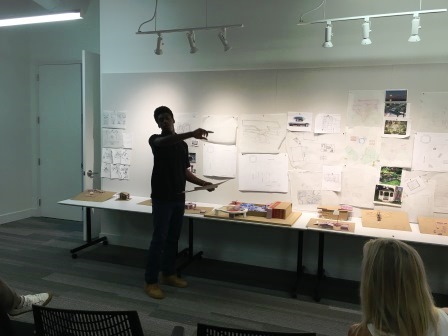 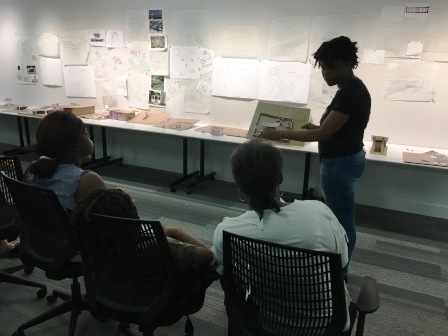 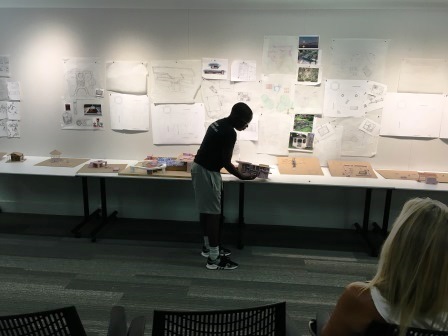 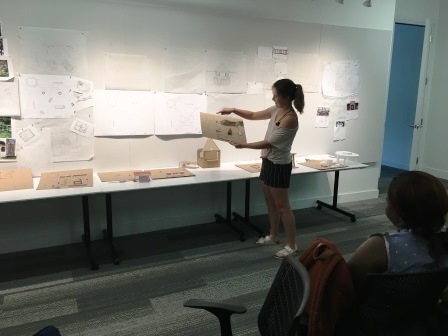 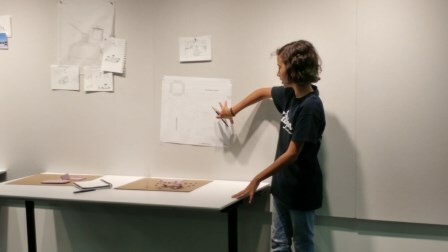 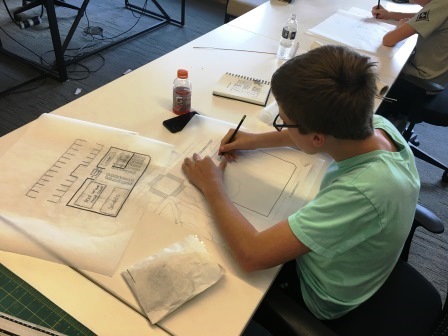 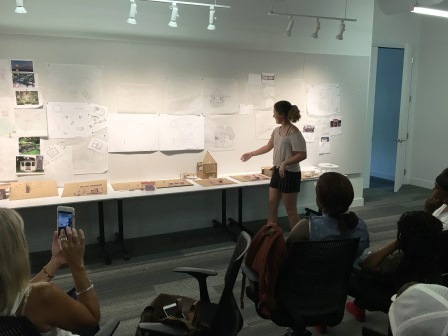 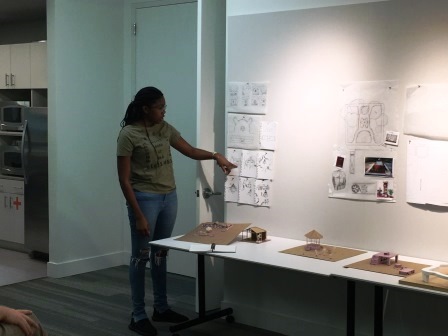 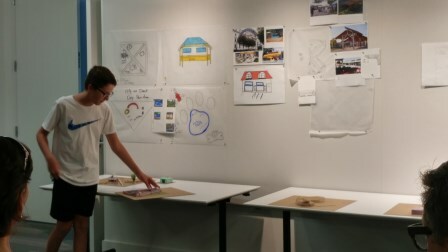 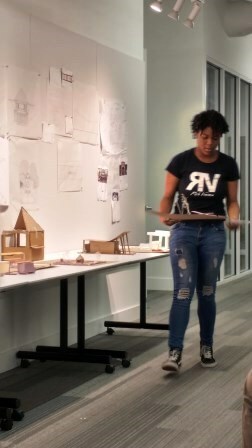 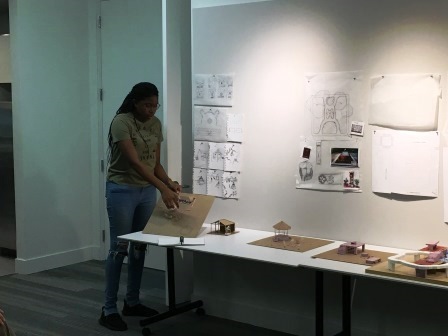 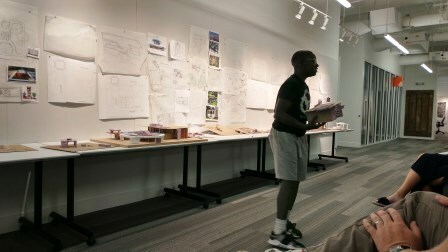 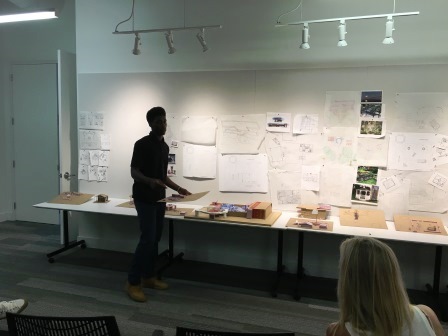 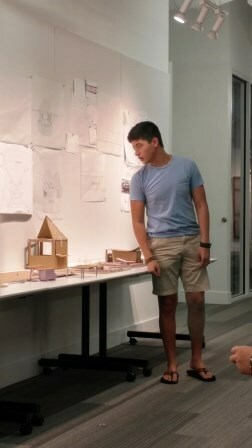 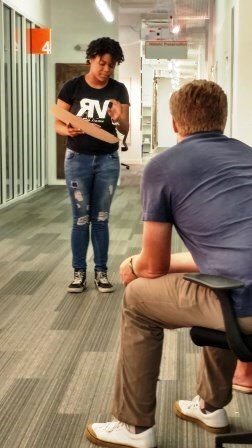 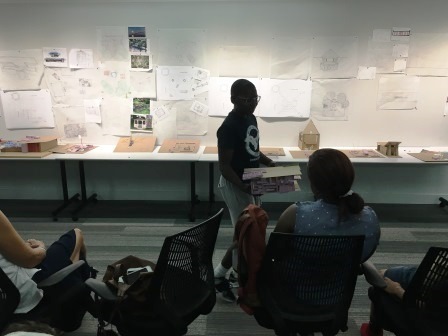 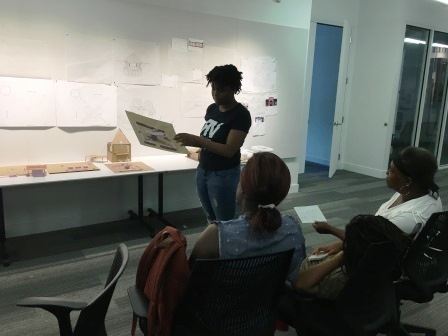 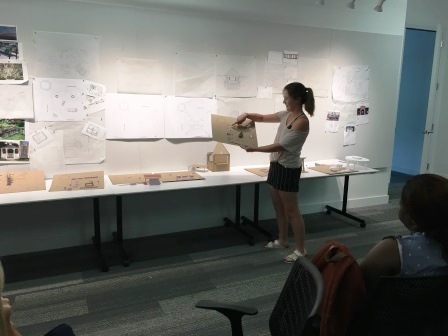 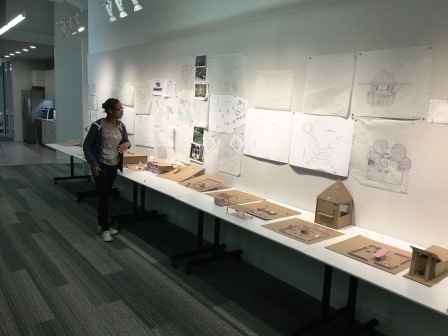 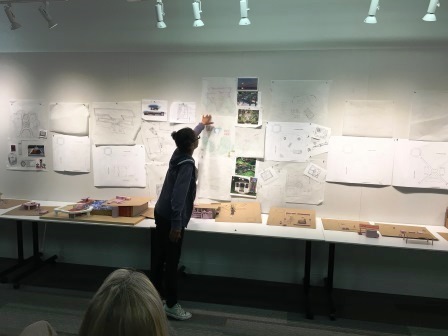 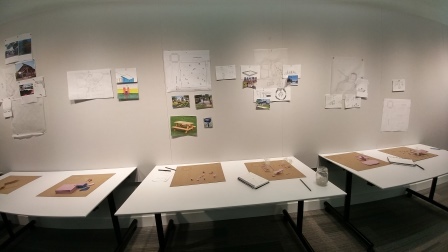 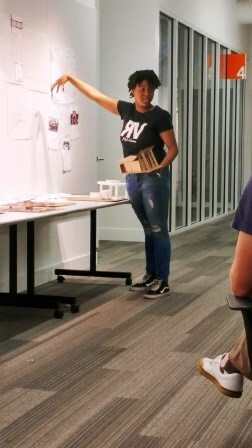 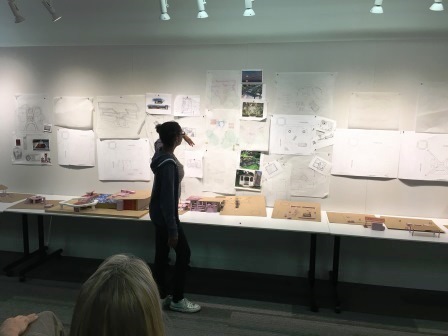 A total of 23 CCSD high school students completed the 2018 Architecture Career Summer Academy. The first of the week long camps targeted rising freshmen and sophomores, and the second week targeted rising juniors and seniors. 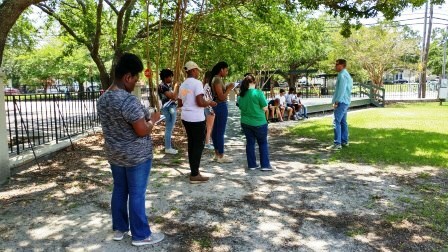 “The program was enormously well received by the students.” said Ray Huff, Director of the CAC.C. 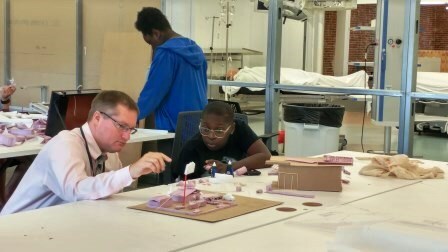 Prof. David Pastre, assisted by Ms. Roxann Phillips from Garrett Academy of Technology, coordinated the two one-week programs. 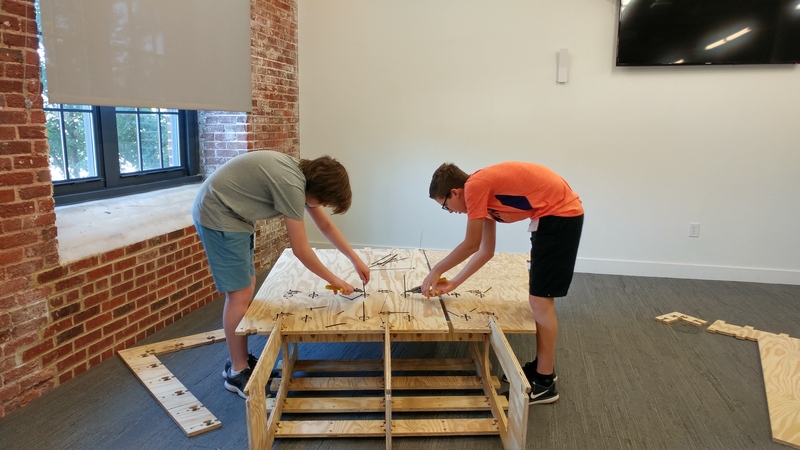 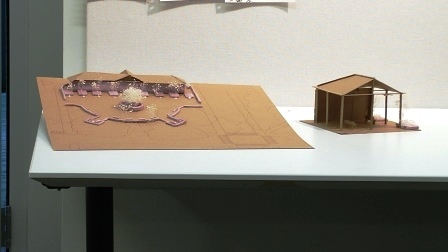 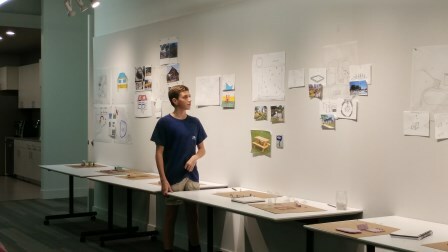 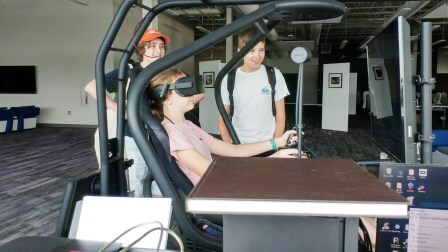 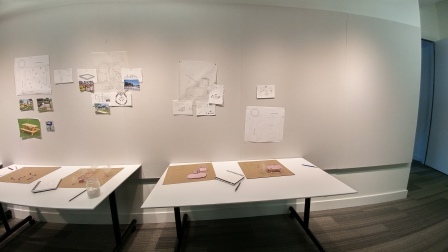 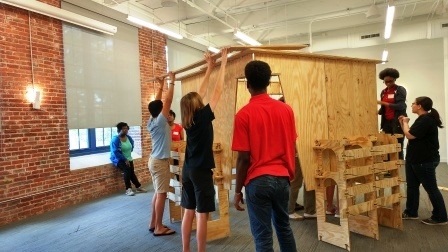 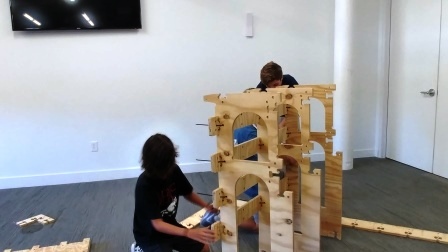 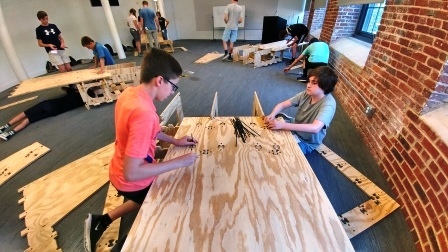 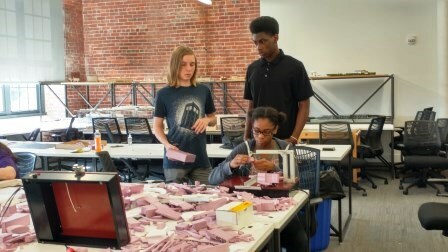 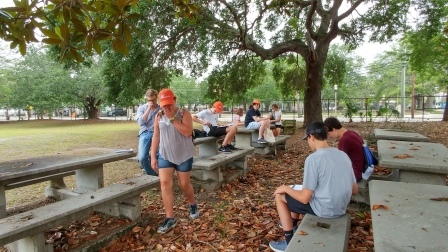 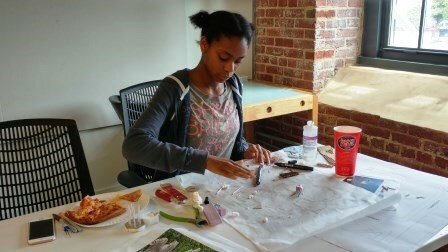 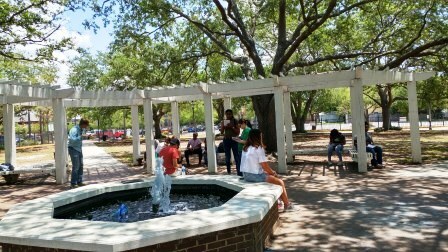 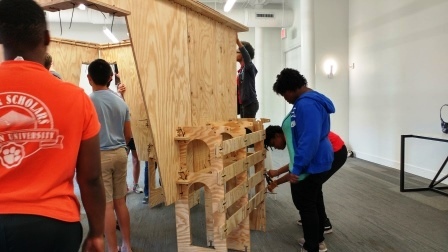 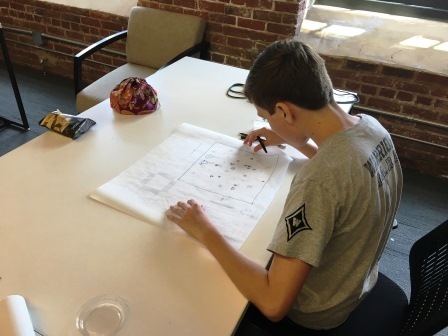 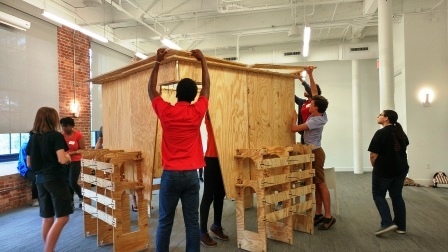 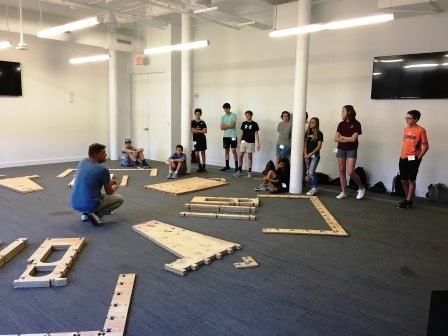 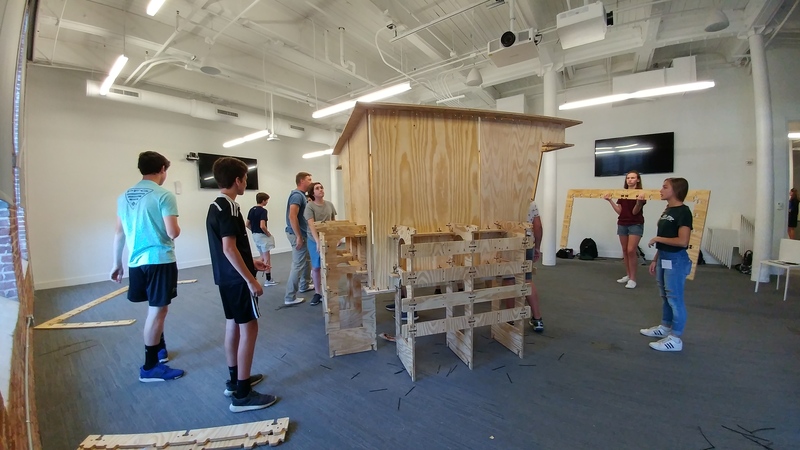 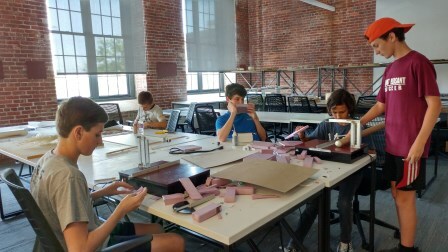 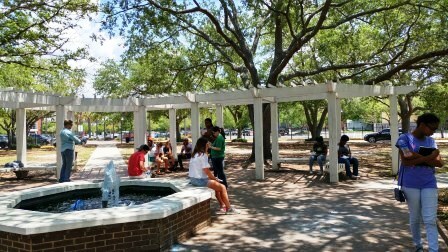 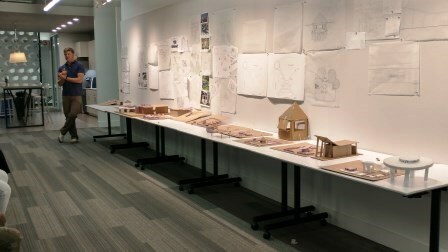 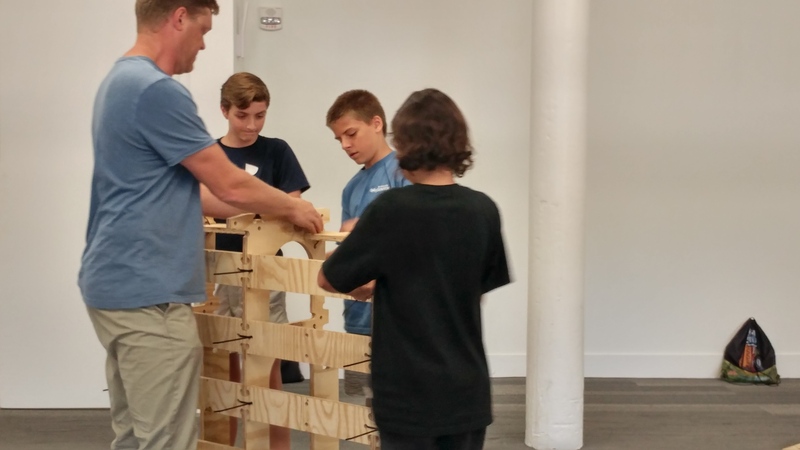 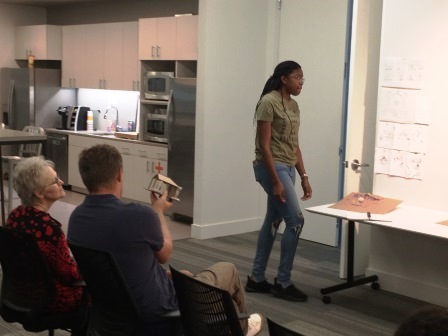 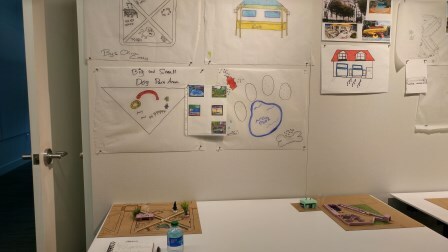 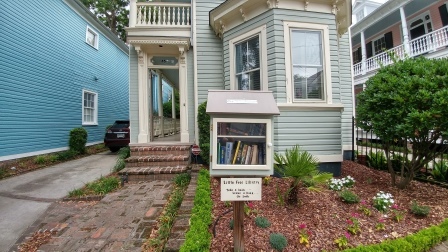 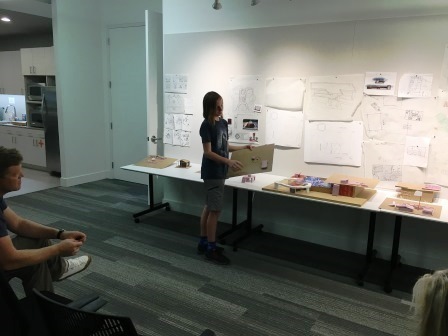 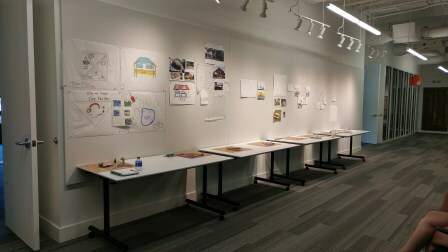 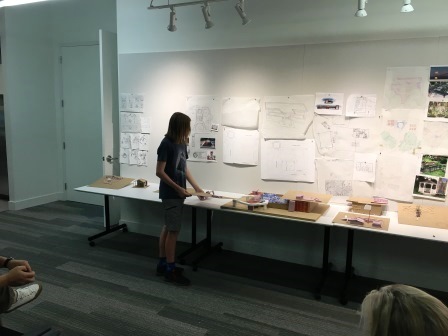 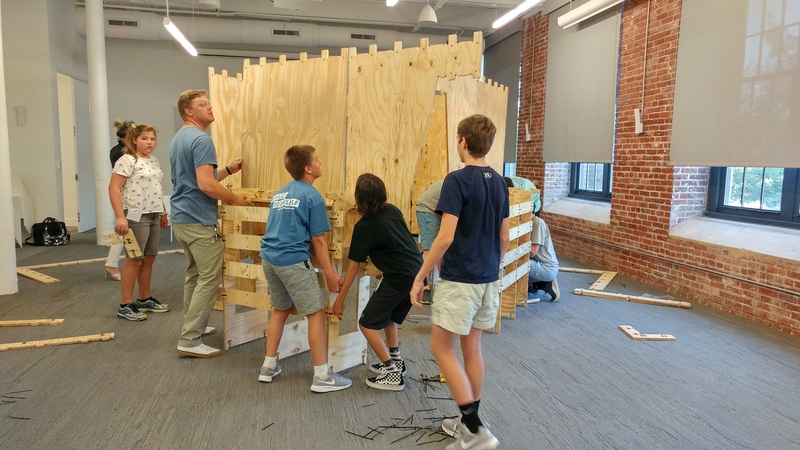 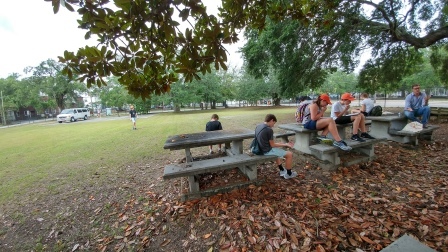 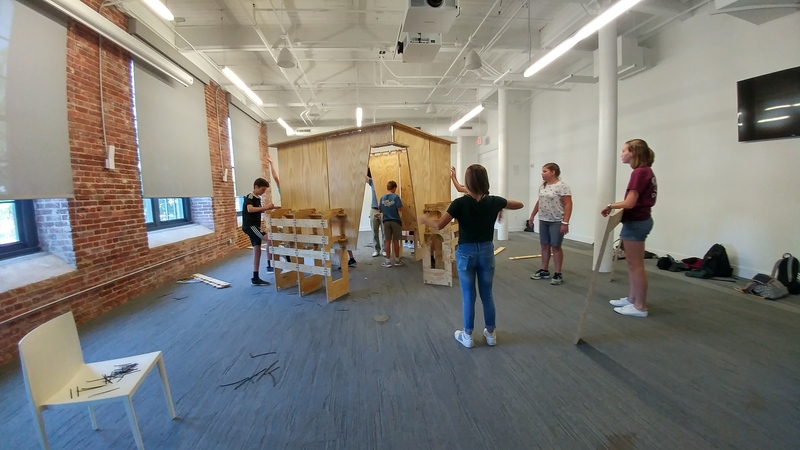 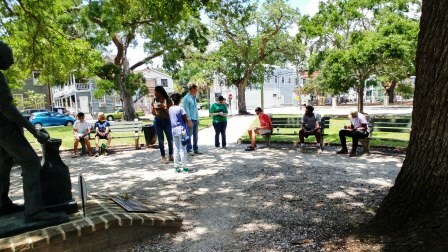 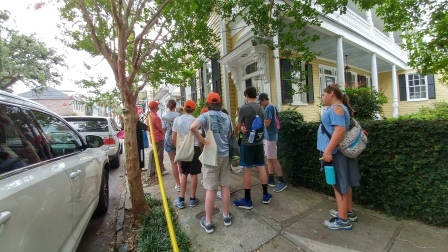 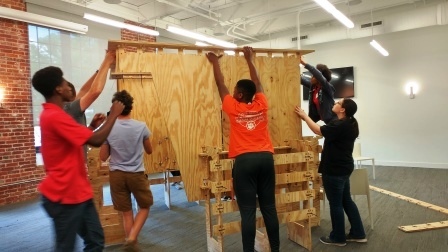 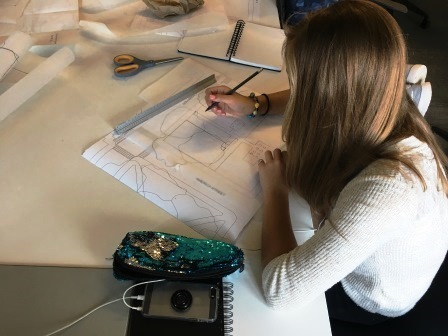 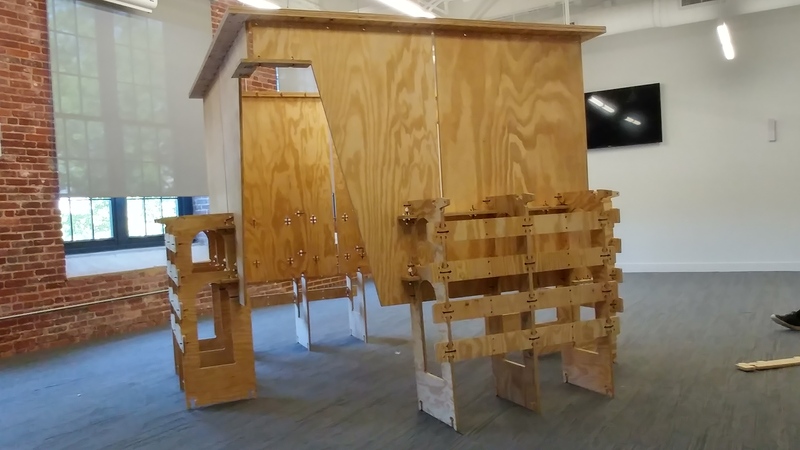 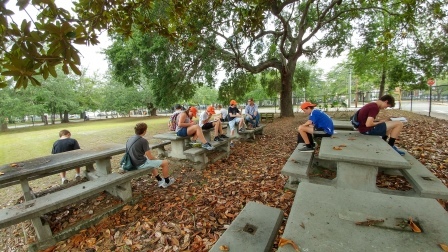 Students in the camps participated in many activities including fabricating a “concept room” from pre-cut wood, visiting the LS3P office in downtown Charleston, a walking tour of Charleston’s historic architecture, sketching concepts for various projects, using tools like a 3D printer and a laser cutter to create a model of their concept, including developing the design proposals for a small urban park that was reviewed in the traditional architecture jury format with many parents attending. 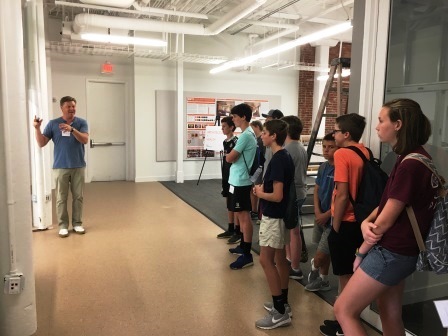 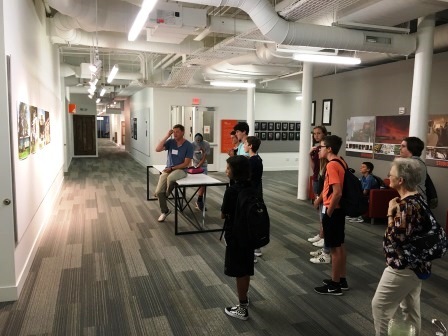 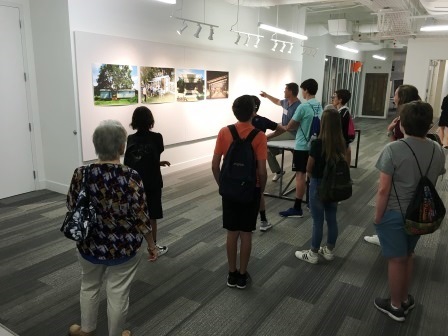 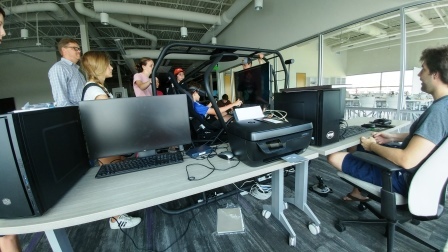 Students also got to visit Clemson’s new Zucker Family Graduate Education Center located on the old Navy Base in North Charleston adjacent to the Clemson University Restoration Institute, Warren Lasch Conservation Center and Energy Innovation Center’s wind turbine testing facility. 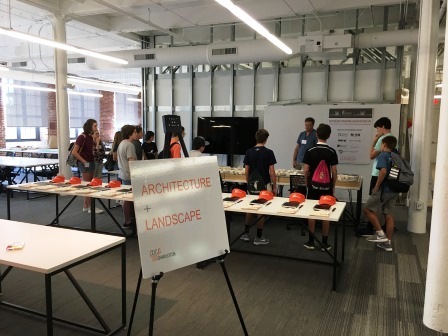 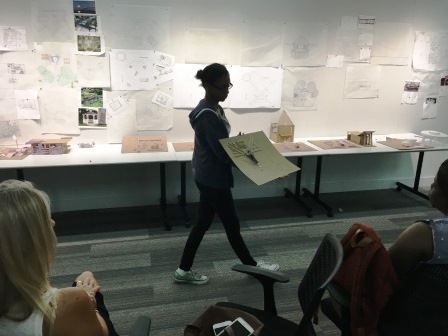 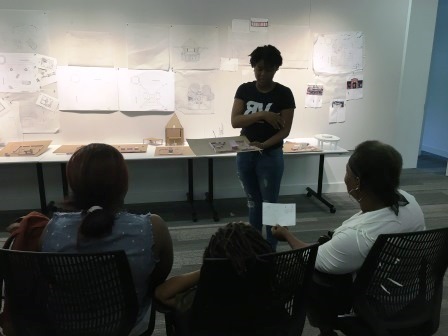 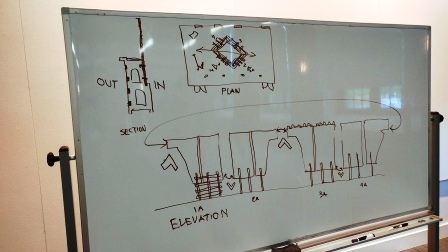 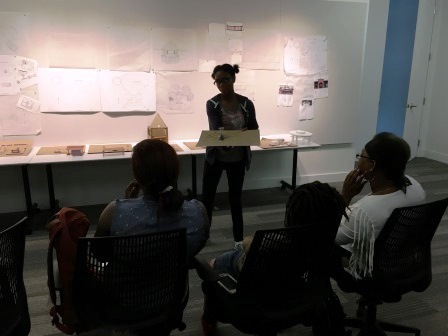 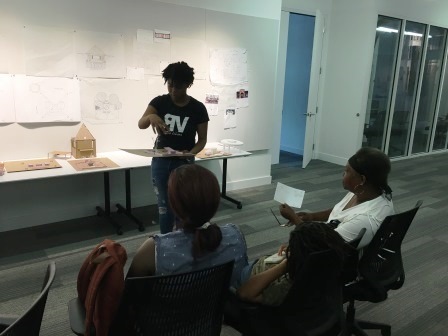 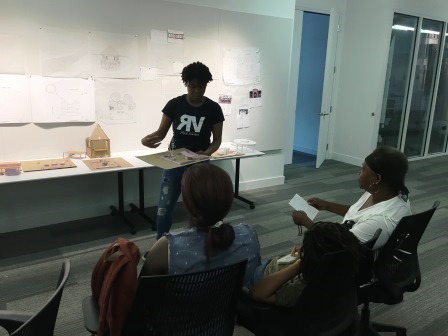 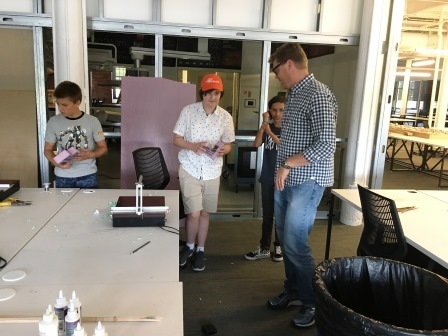 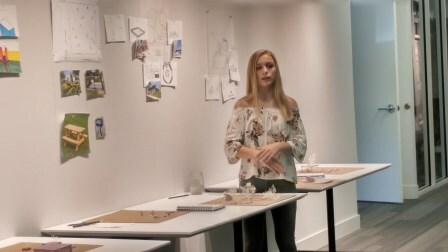 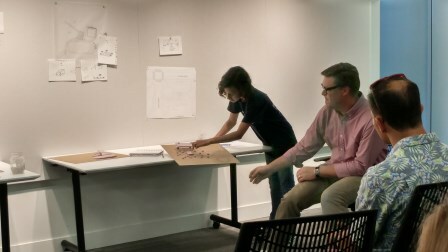 “The goal in offering these career camps was to excite young students about the valuable role of architecture in our everyday experiences, so that they may consider architecture as a career, shared Huff. 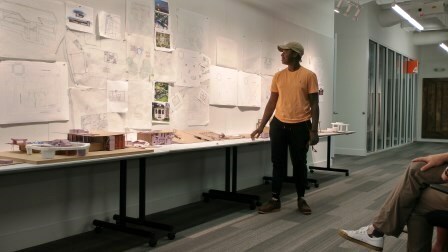 “Even if they chose not to study architecture, the academy presented them an opportunity to develop an appreciation of good design in their lives,” Huff added. 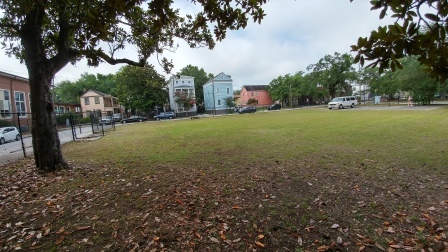 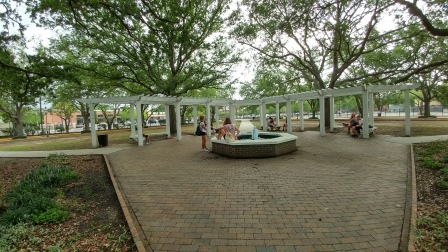 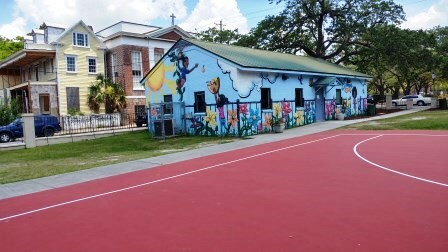 The camp was held a location that is still relatively new for the extension of the Clemson University campus in Charleston, 701 East Bay St. Charleston, SC 29403, also known as the old Cigar Factory building downtown. 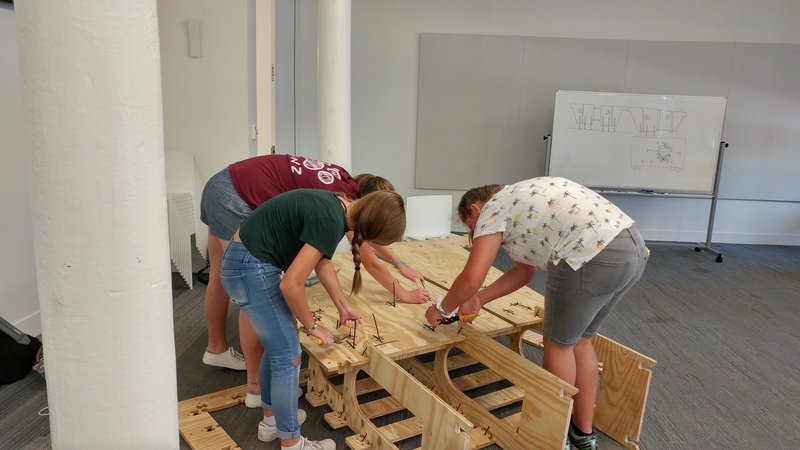 Check out these additional pictures from both weeks of this wonderful career camp – Thanks to everyone that made this amazing work-based learning opportunity possible!